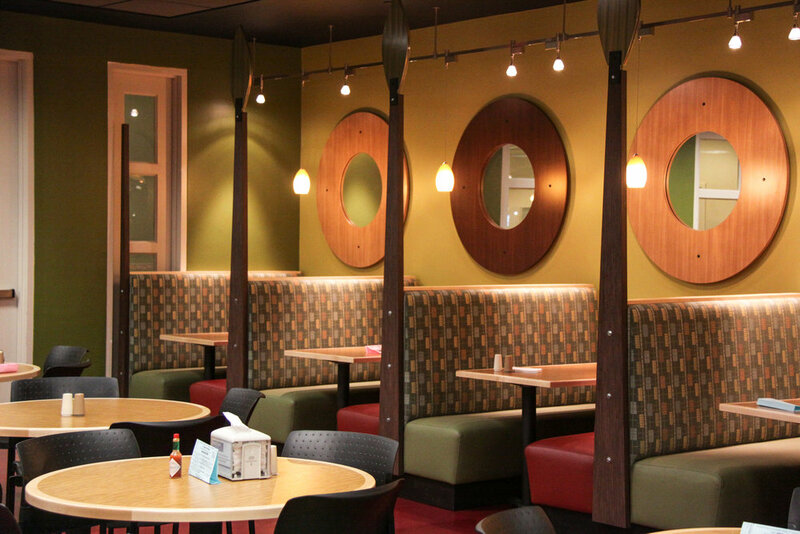 With an increasing student population, The College of New Jersey hired Settembrino Architects to expand the recently renovated Eickhoff Dining Hall to create an additional 80 to 100 seats. The area designated for expansion, however, required the relocation of college offices to Holman Hall. 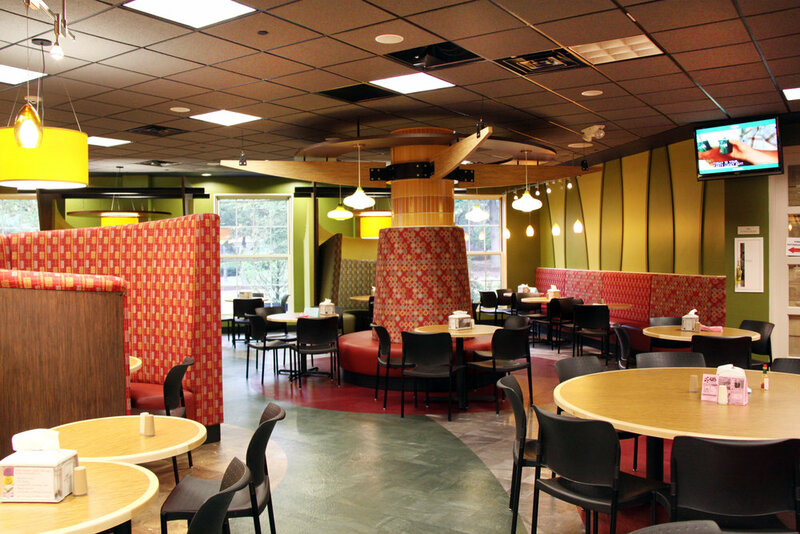 A seamless dining hall expansion design and a phased construction schedule for the relocation of the college offices provided additional challenges for the design team. An August 2011 project completion demanded a high level of coordination and planning to minimize operational disruptions. As the Settembrino Architects team reviewed the recently renovated Eickhoff Dining Hall, the intent was to design an expansion imperceivable from the original design. 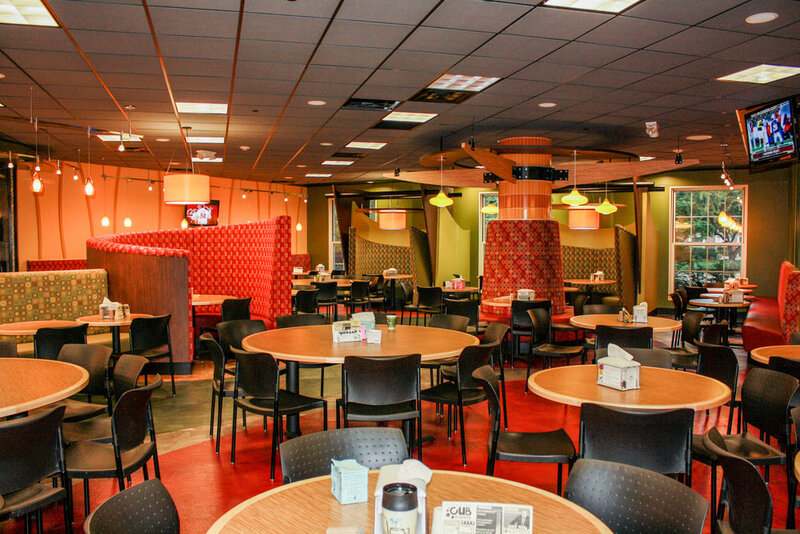 Settembrino Architects continued floor patterns, color schemes, lighting, seating and ceiling designs to achieve an expansion as if originally designed at the start of the previous renovation. Office renovations to Holman Hall to accommodate the relocated college offices from Eickhoff Hall required careful planning to address privacy and individual and group meeting concerns. Barrier Free updates to toilet rooms and exterior ramps were required as well.